NPCIL Recruitment 2018 - Apply Online for 13 Assistant Grade I Posts in NPCIL, Tamil Nadu. 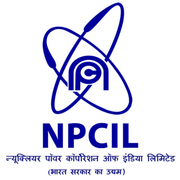 Online Applications are invited by Nuclear Power Corporation of India Ltd. (NPCIL) from 27 Nov 2018 at 10:00 AM to 14 Dec 2018 till 05:00 PM for 13 vacancies. 21 years to 28 years as on 14 Dec 2018. Relaxation in Maximum Age Limit will be given as per Govt. Rules. Eligible candidates may apply online at NPCIL's website (direct link is given below) from 27 Nov 2018 at 10:00 AM to 14 Dec 2018 till 05:00 PM.